Even in the 1970s, the Targa Florio was an anachronism. Held around the twisting roads of Sicily, it was a major part of the sports car championship for many years. Cars set off at 15 second intervals and raced around the (for most of its history) 45 mile circuit that ran through the hills and towns of the island. The 1972 race seen in this video was won by Ferrari drivers Arturo Merzario and Sandro Munari. The Scuderia dominated the sports car season that year with the 312PB, winning every round except Le Mans â€“ which they didn’t even enter, fearing their F1-derived engines wouldn’t last the distance. Munari was an interesting addition to the team for the Targa. A rally driver â€“ and later a champion for Lancia â€“ he knew the area like the back of his hand and his talents combined with the aggressive Merzario made for an effective pairing. Vic Elford won the event in 1968, sharing a Porsche 907 with Umberto Maglioli. ‘Quick Vic’ became a hero to many after the victory, having lost 18 minutes on the first lap after a tyre failure. One of the most intriguing parts of the film is his description of Helmut Marko’s worries about the race and subsequent lap record. After making headlines for all the wrong reasons recently, it’s a great reminder that he was capable of a banzai performance in his day. This video is an excerpt from the film The Speed Merchants, a documentary following the 1972 sports car season. It’s well worth a watch. 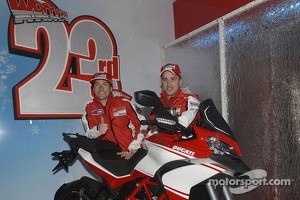 symbolically launches the forthcoming MotoGP season. Championship and is a three-time AMA Superbike Champion. with a passion for motorsports. honoured to welcome Ben Spies, who has enormous talent and a spectacular riding style. 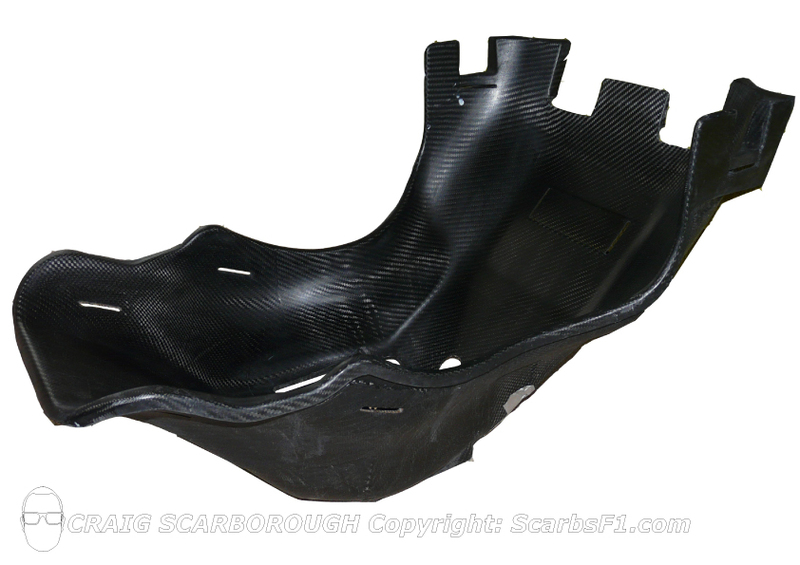 Formula1 is often about setting a car up to suit the needs of the driver, but there can be no part more intimately linked to the driver than the seat.Â Literally moulded to their shape, the modern seat is a far more complex piece of engineering than the foam moulded seat used in the old days. Made from carbon fibre the seat is custom-made to fit the driver and the cockpit.Â Each driver prefers their own shape and features.Â Often the sides and bolsters are differing shape for differing drivers; Jenson Buttons seats at BAR & Honda were almost wrapped around his torso, as well as an additional bolster formed in the front of the seat between the driverâ€™s thighs.Â Regardless of the drivers preferences the process to make an F1 seat starts with the classic seat fitting.Â The driver will arrive at the factory and switch into their overalls; they will sit on top of robust plastic bags fitted loosely in the empty tub.Â With the chassis already set up for the driverâ€™s steering wheel and pedal position, their seated position will form the outline of the finished seat.Â The bags will be filled with either foam beads or two pack expanding foam.Â The bags will fit the contours of the driver and the internal shape of the tub. Often we drivers have seat fittings completed in older chassis; itâ€™s a surprising fact that as much as the rules alter every year and the cars end up being 90% new, the insides of the cockpit are quite tightly regulated and the basic dimensions do not alter from year to year. In this article I refer to a seat which I own, that was made to fit Driver Neel Jani into a Jaguar R5, when he tested for the team at the point Red Bull took over the Milton Keynes based operation.Â Despite the nine years between it being made and today, I suspect it would fit any current cockpit without much trouble. Whereas in previous times this foam would have gone on to form the final seat or at least had a mould taken from it, nowadays the process goes a little more high tech.Â The foam buck is scanned into 3D CAD software, the point cloud taken from the seat buck is then smoothed into a finished surface in the CAD software the areas which the driver does not contact, are removed and the seat tidied into the final shape, complete with the various flanges and details to make it fit neatly into the monocoque.Â Some Drivers will have an indentation made into the seats surface along where their spine sits to accommodate extra padding. As part of the rules the seat now is required to have several rescue features built into it.Â This include six straps to assist lifting the driver out of the car while still in the seat, as well a section to allow the fitting of the neck brace to hold their neckspine steady during removal from the cockpit. Thus the seat has to be sufficiently strong to support the driverâ€™s weight (~65kg) during removal, teams are not allowed to fit vestigial or two part seat, the seat must reach from the driverâ€™s shoulders to the back of their knees. Once the 3D model is complete, the data is used to 5-axis machine a mould from tooling block.Â This is then used to lay up the carbon fibre.Â The seat mould is a male part, so that the driver sits on the smoothly moulded face of the seat.Â The thin pre-preg carbon plies are strengthened by a honeycomb layer across most of its shape and then a thinner layer of carbon fibre.Â Thus the outer face of the seat is less tidy, but is rarely seen and often coated with heat reflective material to reduce the heat stress on the driver from the electrical equipment and heat coming up through the floor from friction of the car ground out on track. Some teams upholster the seat, to suit their corporate image, the material and padding is thin as the driver is strapped so tightly into the seat, any excessive padding would allow the driver to move under high G-forces.Â The driver will sort out the finer points of seat comfort at the first tests, with small pieces of padding or even Duct tape being added to refine the shape.Â These will be either permanent additions or the seat mould may be revised. Itâ€™s normal for the driver not then to make any seat modifications through the season and only a few seats will be made for each driver. My Jani seat that I have is un-upholstered, it weighs in at just 2.25kg, and no doubt current designs are even lighter, as the teams refine the design. One exception has been Michael Schumacher who used inflatable cushions to tune his seat comfort through the weekend. As explained here. The drivers seating position is partly dictated by the height of the helmet projecting from the cockpit, the top of the helmet must not pass through a line projected between the front and rear roll hoops.Â Some drivers sit higher or lower below this limit, based on their overall height and their ability to see clearly over the front of the chassis.Â As the drivers should will be somewhere between 450-500mm above the floor, the driver is steeply reclined.Â On the Jani seat, the drivers bum sits in a 200mm flat section spaced some 400mm from the back of the driverâ€™s shoulders.Â Also with the raised moncooques favoured by all teams, the driverâ€™s feet sit well above the floor.Â Janiâ€™s knees were some 250mm above the floor.Â Currently driverâ€™s feet could be some 370mm above the floor.Â As odd as this sound the resulting seat is very comfortable and the position feels natural.Â I have never met Neel Jani in person, but I fit quite easily into his seat, I know other driverâ€™s seats are far tighter and most of us fully grown adults would not fit into some of the smaller drivers seats.Â The myth that F1 cockpits are cramped is not justified.Â The shoulder area is mandated to be some 520mm wide as a minimum, but the monocoque is far wider internally than this making space for wide shouldered or hipped drivers.Â Equally the reach to the steering wheel and the pedals is set out in the rules, meaning taller drivers are not unduly handicapped in fitting into the car. Iâ€™m often asked if a seat or bare F1 monocoque would make a good gaming set up, as most people contacting me feel they would not fit.Â But as explained both would be ideal for most adults, unless the seat was for a particularly small driver.Â So a monocoque or even just a seat would add the real F1 experience to a gaming set up. A feature of every F1 car since 1996, the cockpit headrest padding has evolved to become a critical safety feature.Â Introduced as part of the response to the incidents of 1994 and in particular the Wendlinger Monaco accident, the regulations are now very specific in regards to the shape and material of the padding.Â Although outwards these are simple pads, their design is tightly governed by the regulation the final detail is balanced between the drivers and the aerodynamicists. Although some form of headrest has been a feature of the formula many years, the vestigial pads behind the drivers heads did little for the drivers protection in any form of accident.Â Often teams would fit a small section of padding to save the drivers from the cars acceleration.Â Even before 1994 the head rules were imposed in 93 and 94 to enforce a headrest behind the drivers of head firstly with a minimum area, then with a minimum thickness.Â But Wendlingerâ€™s side on crash out of the tunnel at Monaco, saw the low cockpit sides and lack of padding fail to save the driver from head and neck injuries from the lateral impact.Â In the wake of the crash Sauber unilaterally elected to fit higher and padded cockpit sides, then these protective structures were written into the rules in 1996. As a result of crash tests carried out to investigate the mechanic of crashes in F1 cars, the FIA recognised that in a side impact the drivers could be shaken from side to side, resulting in injuries, to the brain, head and neck.Â Having padding would reduce the loads the driver is subjected to preventing serious injury.Â Meanwhile the further extension of the rear headrest will reduce the accelerations seen by the drives skull in rear impacts and from whiplash in frontal impacts. Initially the rules used a line in between the front and rear roll hoops to define the position of the padding, with 75mm wide pads being required either side of the drivers head.Â The regulations evolved to make these designs longer (reaching the steering wheel) and the front and side pads made from one piece.